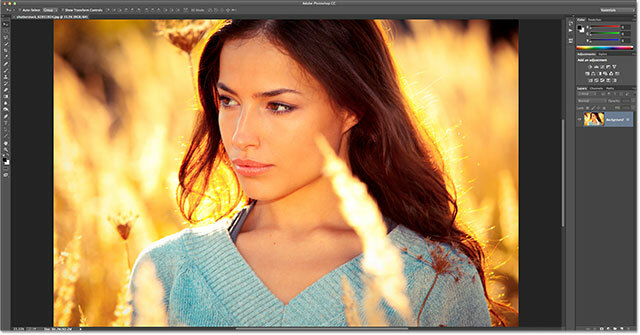 In this series of tutorials, we'll learn how to resize images in Photoshop CC (Creative Cloud). We'll start here with a quick overview of Photoshop CC's newly redesigned Image Size dialog box, a welcome improvement over previous versions. Then, in the next tutorials, we'll learn how to both resize and resample images, as well as the important difference between the two. We'll also look at Photoshop CC's image interpolation options, including a brand new one designed to keep our images looking crisp and sharp when we enlarge them, something previous versions of Photoshop have really struggled with. Again, this tutorial, as well as the others in this series, are for Photoshop CC which requires a subscription to the Adobe Creative Cloud. If you're using Photoshop CS6 or earlier, you'll want to read our original How To Resize Images In Photoshop tutorial, as well as the other image resizing tutorials found in our Digital Photo Essentials section. 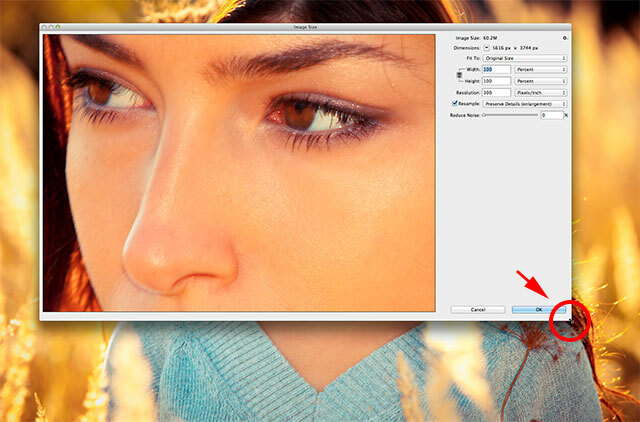 The redesigned Image Size dialog box in Photoshop CC, with a new preview window on the left. Click and drag inside the preview window to move the image. Clicking on the image to jump to a new preview area. Changing the zoom level using the bar along the bottom. Click and drag the corners to resize the dialog box and the preview window along with it. Information about the current file size and dimensions is found at the top. Choosing between different measurement types. The list of preset image sizes. The main Width, Height and Resolution options. Choose from different measurement types for the Width and Height. The current print size of the image. The new print size of the image after changing the resolution value. The width and height are now shown in pixels. Use the Resample option to change the total number of pixels in the image. Another very important option that only becomes available with the Resample option enabled is Image Interpolation, which refers to the method Photoshop uses for adding or removing pixels in the image. The interpolation method we select can have a dramatic impact on the quality and appearance of your image after it's been downsampled (made smaller) or upsampled (made larger). 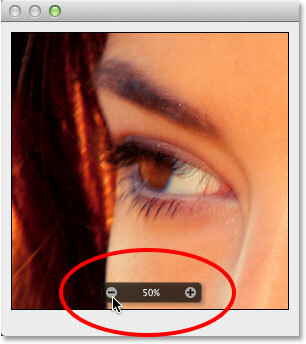 The Image Interpolation option is located to the right of the Resample option. 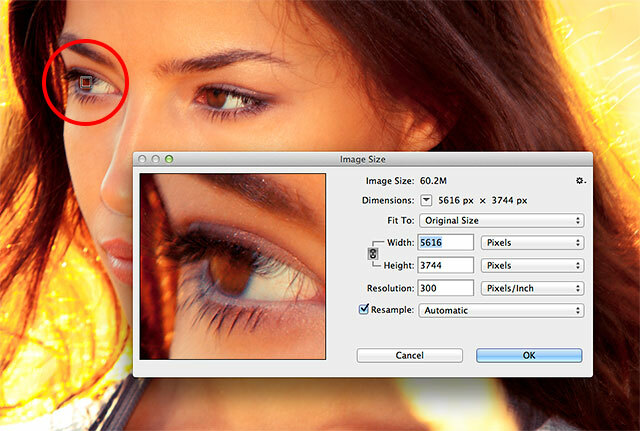 Preserve Details is new to Photoshop CC and great for making enlargements. Click OK to resize or resample the image, or Cancel to change your mind. Press and hold Alt (Win) / Option (Mac) to switch Cancel to Reset. And there we have it! That's a quick tour of the newly redesigned Image Size dialog box in Photoshop CC (Creative Cloud)!